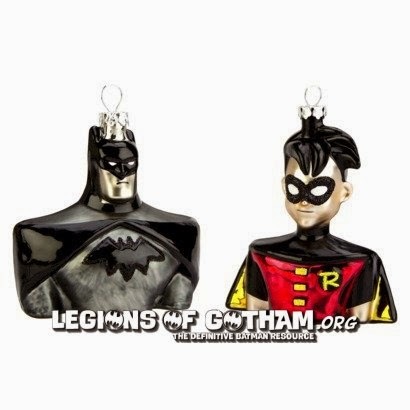 Home » » Batman: The Animated Series Xmas Ornaments at Target!!! Batman: The Animated Series Xmas Ornaments at Target!!! Yeah, someone broke out the old molds this year! These wonderful 2-piece glass ornament set was found this weekend at Target stores, featuring the second generation Batman: The Animated Series designs, The New Batman Adventures (or Gotham Knights). The set runs $15 and It was a sight for sore eyes!